Property Details: 3 Bedroom, 3 Bathroom Residence with approx. 1,360 square feet. 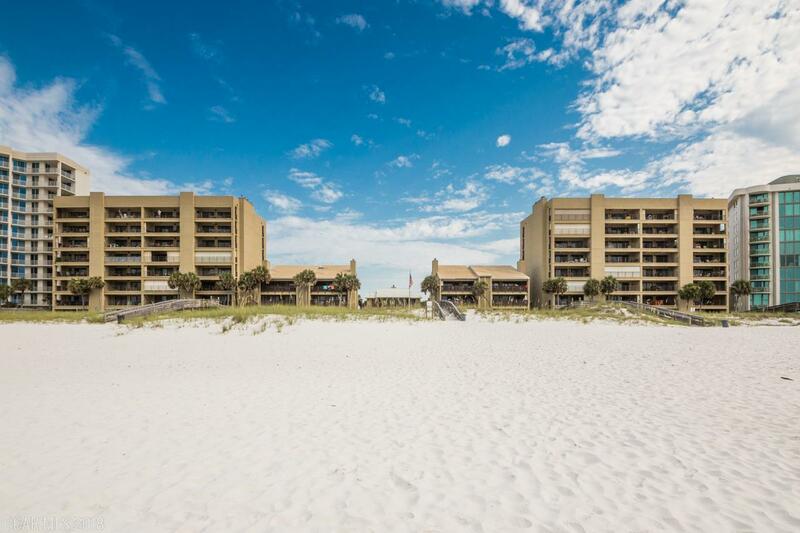 Perdido Key condo for sale at Shipwatch. This beachfront residence at Shipwatch has complete boating facilities across the street, including boat storage, launch and slips! Spacious corner home being sold completely furnished – tile flooring throughout, a fireplace, and modern, open kitchen with plenty of cabinet space. The spacious beachfront master bedroom has a large walk-in closet and has direct access to the private balcony. Shipwatch owners enjoy the best of both worlds with uncrowded beaches, a gulf-front pool & clubhouse…plus boat launch, boat storage and 1st-come/1st-serve boat-slips on the deep waters of Ole River. Plenty of room to store your beach, pool and boating supplies with two owner storage areas. Shipwatch has one of the strongest homeowner associations on the island, with an excellent on-site management and maintenance staff. Other community amenities includes tennis courts, workout center, sauna, indoor hot-tub, gulf side and riverside pools and more. Relax…come enjoy coastal living!